Launched in 1973, Gabicci first came into being when its two creators were inspired by a trip to the Italian seaside resort of Gabicce Mare. The Gabicci look came from a mixture of East End rag trade expertise, sharp Italian styling and a nod to the '50's rock and screen icons. Gabicci fine knitted jackets and Gabicci shirts were trimmed with suede and finished with unique detailing. 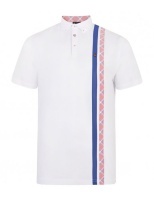 Always on the smart side of casual, the structured Gabicci collars, piping details, suede trims and of course the iconic 'G' became sought after trademarks. For over 35 years, Gabicci has gone from strength to strength, evolving into a distinctive and much copied design style. 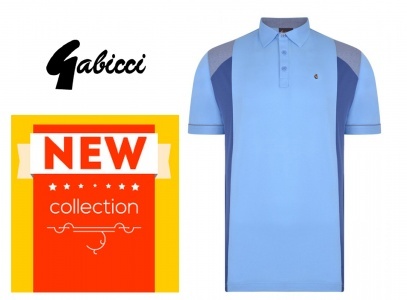 The Gabicci brand epitomised the '80's trends with cut and sewn geometric panelling in Gabicci knitted jersey polo shirts, Gabicci fine gauge knitwear and Gabicci lightweight jackets. 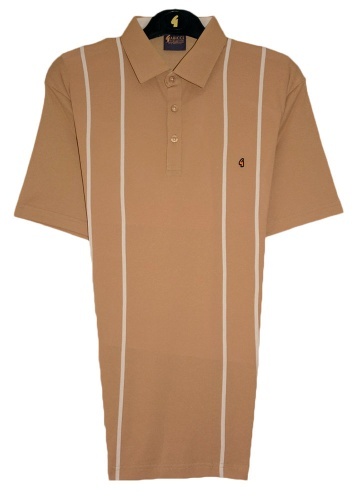 The '90's saw Gabicci adopted as a favourite amongst golfers and the latest technology was put to good use in the development a plated jersey fabric, knitted with cotton on the inside for comfort and polyester on the outside for durability. The current Gabicci collection consists of Gabicci fine gauge knitwear, Gabicci woven shirts in luxurious fabrics and Gabicci knitted tops in cotton and cotton / silk blends. The styling is modern yet sophisticated, with designs offered in rich, vibrant colours, which are always on trend. 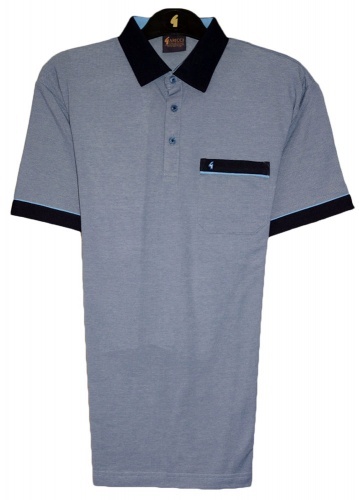 We stock what we believe to be one of the largest ranges of Gabicci polo shirts available online. Delivery straight from our stockroom in Hampshire with expedited shipping available too at unbeatable prices, treat yourself to a classic Gabicci polo shirt and you won´t be dissappointed.